Chicago's Department of Transportation plans to retrofit all 270,000 street and alley lights in the city with energy efficient LED lights. Leading up to the project, the new lights have been installed at seven locations around the city and officials are asking the public for their comments about them. Joining us with more about that and other projects undertaken by her department is Rebekah Scheinfeld, commissioner of the Chicago Department of Transportation. Dec. 13: Early next year around 270,000 streetlights in Chicago will be replaced with energy-efficient LED lights. Before the massive project begins, residents are being asked to give feedback on samples installed in seven neighborhoods. Dec. 13: Will Union Station’s modernization keep moving forward at full speed? Blair Kamin weighs in on that and the top architecture stories of the year. 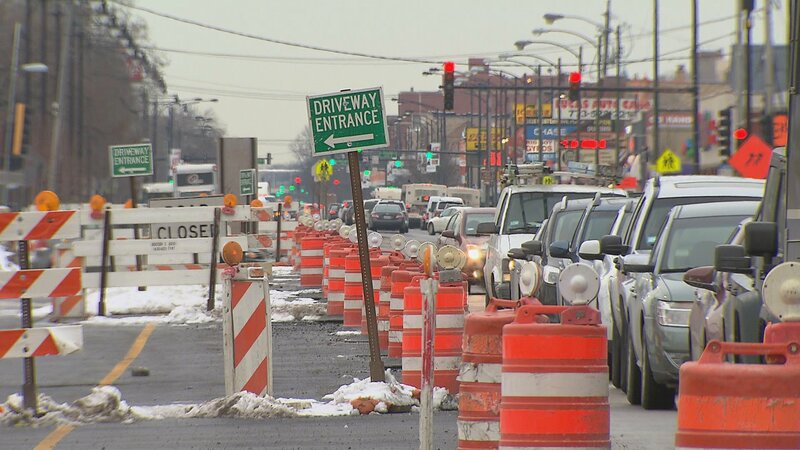 Aug. 8: The second phase of the reconstruction project at the intersection of Western, Belmont and Clybourn avenues begins Monday. Find out what that means for drivers. Dec. 16, 2015: One of the most significant transit initiatives to launch in Chicago begins service this weekend. We take a preview spin around the city's first bus rapid transit line, called Loop Link.